Khushhali Microfinance Bank Limited has won the accolade of “Best Microfinance Bank” at the third Pakistan Banking Awards 2018 organized by the Institute of Bankers Pakistan with AF Ferguson as its knowledge partner and & Dawn Media Group as its official media partner. 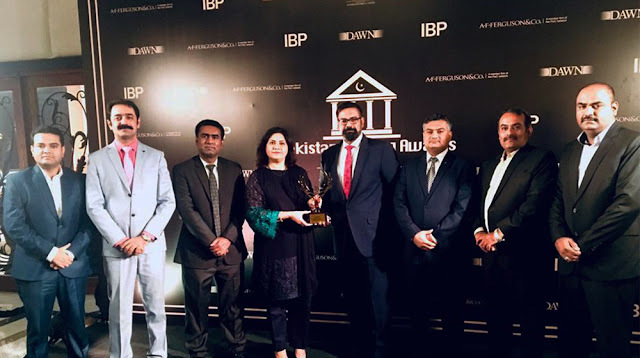 The pioneer microfinance bank of Pakistan was honored with this award for its all-round performance in expanding outreach through penetration, efficiency and innovations along with both, a strong bottom line and social impact. The award signifies our momentous efforts to provide formal financial access to the marginalized segments of Pakistan. Such prestigious banking awards play a vital role in boosting the morale of financial institutions to work harder to bridge the divide between the banked and unbanked, he further added. These awards honor and promote the efforts of banks for developing new and innovative products and services, while giving them the incentive to enhance their performance for the coming year. The areas rewarded included financial inclusion, customer convenience, technology in banking, Islamic banking and trade finance including SME and agriculture. The award jury members have a vast experience of working for the financial sector and the awards are decided after thorough review of product offerings and performance of all the nominee banks.